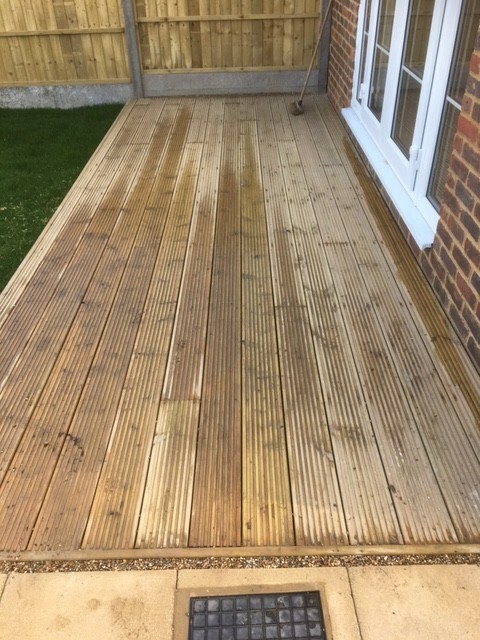 Our extensive range of landscaping and construction services includes designing and building decks to the highest standards for our customers in Maidstone and surrounding areas. 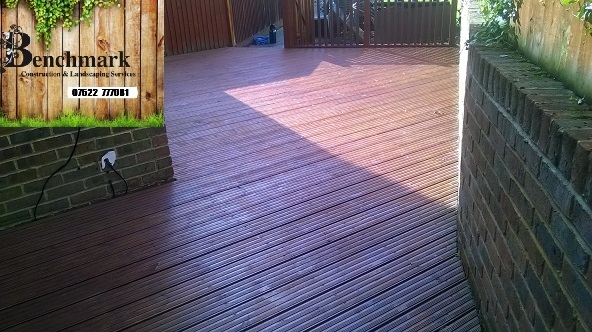 We are committed to delivering the highest standards of workmanship at the most competitive prices so get in touch today and see how we can help build the perfect deck to enhance the aesthetic appeal and utility of your garden. We are professional landscape gardeners with over 20 years experience in driveway and patio construction , groundworks and drainage, hard and soft landscaping , turf laying , garden design and fencing and decking design and installation. We are committed to delivering the highest standards of workmanship at the most competitive prices so get in touch today and see how we can help give you the garden of your dreams. Whatever the shape or levels of your garden Benchmark will design an outstanding decking solution for you to enjoy all year round. Our decking comes complete with accessories such as planters, benches, ramps, fencing and pergolas, all of which can be designed and built to your specification so that they blend into your deck design. We offer three types of decking – grooved, smooth and non-slip, we also carry a range of different types of spindles, handrails and base rails. All our decking materials are Swedish timber. All timbers used are tanalised which preserves the timber and protects it from a risk of decay and insect attack, even under water contact or in the most corrosive ground. The highly effective preservative provides the ideal protection for posts, joists and beams. We also supply and install a wide variety of fencing i.e. Featherededge Screen, Hit & Miss, Concrete Post & Panel, Post & Rail, Panel Fence, Trellis etc. We have a selection of fence gates also, Field Gates, Kissing Gates and Driveway Gates for conventional and electric openings. All timber is tanalised pressure treated in green or brown, to preserve the life of the timber. It protects the timber from decay, insect attack, and even in the most corrosive grounds or even in water contact, the highly effective preservative provides the ideal protection for timber fencing.